The park celebrates International Migratory Bird Day every May 13 with free public programs and a field day. But the issue with Yellowstone raptors is that despite this special day people aren’t informed because of all the attention in the park is mostly focused on the big animals of the park. The migratory bird festivities focus on crafts and activities such as bird watching, the people who participate get great information on the raptors in the park. But bird-watchers should remember to view birds from a distance. Getting too close can stress the birds and sometimes cause the birds to abandon their nests decreasing their population. In Yellowstone, raptor habitats consists of trees. An issue involving the raptors in Yellowstone is lightning-made and man-made forest fires that could wipe out the raptors habitats; the key to solving this with man is to make sure everyone who is going to have a campfire of any sort has proper fire prevention training. For an example, in the summer of 1988, lightning and human-made fires consumed more than 793,000 acres of the 2,219,789 acre park. While there were no recorded incidents of raptors being harmed in the fire first hand, but the fires did kill and displace many animals. Raptors are very important to Crow society and culture, and Dr. Doyle give great examples on how they are use and how large and small owls are viewed. I never knew this, and would have loved to see the park put an effort out to educate its tourists on how important raptors are and how they are used in Native American society. 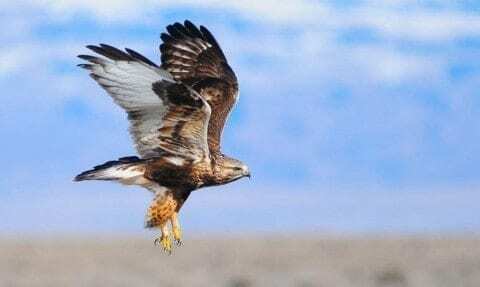 Yellowstone National Park, give more attention to the raptors, put signs and information plates around the park with information, to inform more people of the raptors around the park and the cultural relevance that they have for the Native Americans. Also have more representation of traditional Native American heritage and culture in the park. These two topics should have more information on them around the park. Inform the people. Dear Yellowstone by Susan is licensed under a Creative Commons Attribution-ShareAlike 4.0 International License.